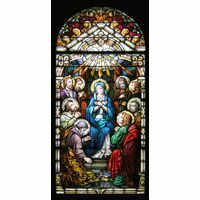 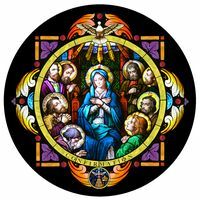 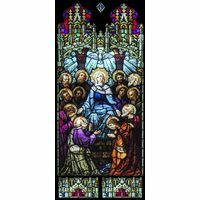 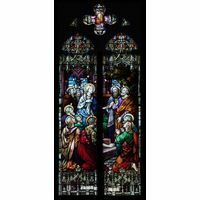 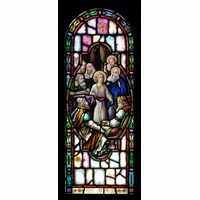 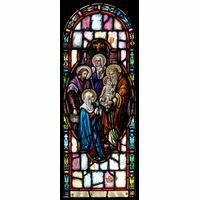 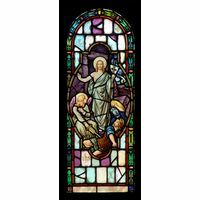 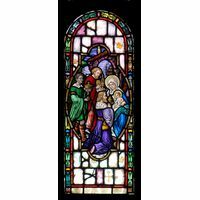 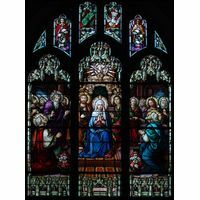 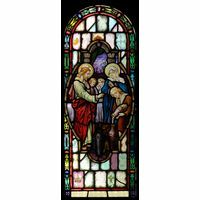 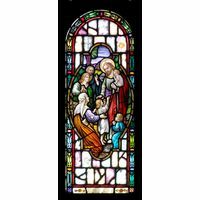 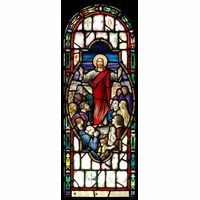 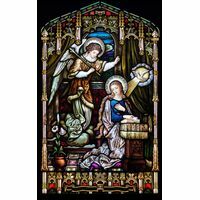 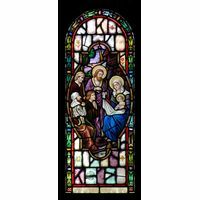 This stained glass panel shows Mary and the apostles. 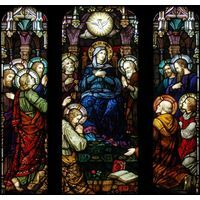 When the day of Pentecost came, Mary and Jesus' apostles were filled with the Holy Spirit and when they spoke, all could understand them. 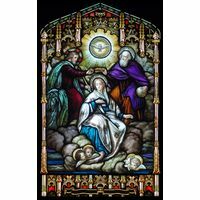 This depiction of this moment in Christian history is testament to the power of God in their lives and in our own lives. 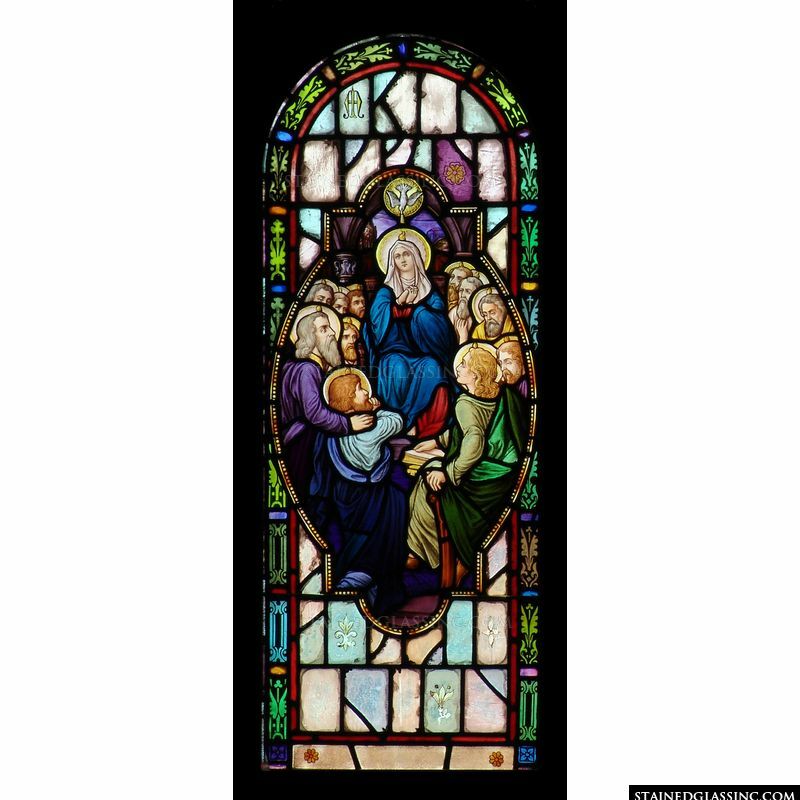 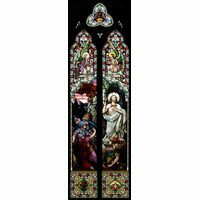 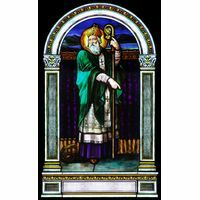 This stained glass panel brings that joy and grace to life with vivid colors and an intricate design.